Recently my family had the opportunity to play 2 of the NEW Hasbro Card Games. We received the MONOPOLY DEAL & SCRABBLE SLAM. We had a blast playing them as a family. 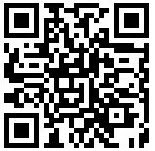 As many of my readers know we have a fishing camp which is a RV. When packing for a weekend trip it is so hard to find things to pack for family entertainment since being a family of 5 does not give us much room for non essentials in the RV. Hasbro card games are perfect family fun for us to take along. In fact, I just put them in my purse so they take up no room at all. I have to make sure they also make it home with us since theses games have became a regular game night for us ! My 14 yr old loves to play the regular Monopoly game so it was no surprise that the Monopoly Deal was his favorite. I personally like the Scrabble Slam. I like the fast pace ...... it is a blast ! 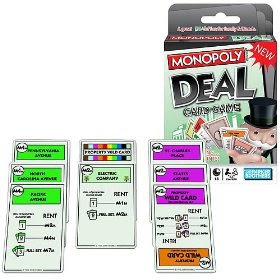 The MONOPOLY DEAL Card Game introduces all the fun of owning and building the iconic properties of the classic MONOPOLY board game – from Baltic to Boardwalk – but emphasizes on-the-fly real estate negotiations to game play. Beware of the Debt Collector, Forced Deal and Deal Breaker cards, which allow players to “steal” cards and can reverse a player’s fortune in an instant. Be sure to “bank” money in personal accounts to buy up properties and collect three complete color property sets to win the game. SCRABBLE SLAM is the fastest SCRABBLE game yet. In this game filled with loud, boisterous fun, players are locked in a high-speed race to build a chain of four-letter words and be the first to get rid of the cards in their hand. 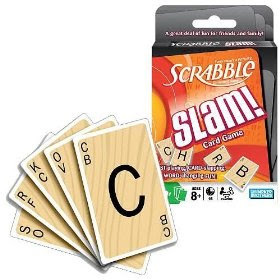 Starting with a word such as “G-A-M-E,” players slam a letter card on the table to create new words, such as “S-A-M-E.” Think fast, act fast -- SLAM! CRAZY OLD FISH WAR Card Game combines the best parts of four favorite card games – Crazy Eights, Old Maid, Go Fish and War – into one fast, exciting card game for families. Be the first player to get rid of all of the cards in your hand by matching, going “fish” or declaring “war” on each turn. Use the “crazy eight” cards to switch the color of the card sequence, but watch out for Old Mermaids (similar to Old Maids) as these cards have special powers. Kids will have fun playing this new game that shuffles four card game classics into one deck. In the original ROOK Partnership Card Game, players deal out the entire deck and place the "ROOK" card in the center of the table. Each card in the deck is assigned a point value. Players and teams bid to see how many points they think they will accumulate by the end of the hand. Win “tricks” to pick up cards and rack up the points. Just be sure to bid wisely, not making your bid can give your opponent a big advantage. The game ends when a certain amount of points has been accumulated. “Do you have any dogs?” “Go fish!” The classic card-matching game GO FISH can now be played with 13 of your favorite LITTLEST PET SHOP friends, including fishes, monkeys, rabbits, and more. Players ask each other questions to find matching pairs of pets. If the player doesn’t have the pet that was asked for they “go fish” in the card deck. The player with the most matching LITTLEST PET SHOP friends wins! Quick, find the stinky things! Coming in Fall 2009, families can experience their favorite PICTUREKA! characters including the penguin, donkey and cavemen in a whole new way with the PICTUREKA! Card Game. With the same zany find it fast, find it fun of the board game, the card game has players searching at an even faster pace. Whether on-the-go or for Family Game Night, PICTUREKA! Card Game takes players on wacky missions they’ll never expect. I am looking for the Scrabble Slam Game.. It looks like great fun.. My Daycare Kiddos would love it. I have the School age kids all summer all day long this would be great for them to play. The Scrabble Slam looks like loads of fun! Thanks for sharing! These card games would be perfect to play with my family when on road trips!